One of the larger and more important consumer purchases we make for our homes is our television set. We not only look forward to spending time both alone and with family members watching television, but our lives are aided by the information that these pieces of technology provide us on a daily basis. Unfortunately, television sets are like anything else in that things can and do go wrong with them and their overall setup from time to time. When this situation arises, someone who is in this position would be well-served to obtain the input of a reputable and trusted San Diego television antenna service. Taking this step can help someone who suddenly encounters problems with his or her television from spending hundreds if not thousands of dollars in replacement costs when such a step may not be necessary. We have also been serving our customers as an antenna system supplier since we opened our doors more than 30 years ago. We have earned the loyalty and trust of our customers over the years because we demand more of ourselves than our customers would ever expect from us. Specifically, we define the results of our service to our customers by the results of the work that we complete. Results are the bottom line in any business, and serving as a San Diego television repair service is no different. In addition to results, we demand from ourselves a level of service that speaks to how important each customer relationship is to us. When you give us a call, you will receive a prompt response. When you ask us a question, you will receive a prompt and accurate answer. When you need our help, we will get to you to provide that help in short order. 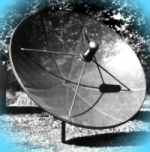 If you have encountered problems with your television set, your antenna system or any other component of your normal TV viewing, seek the help of a San Diego television repair service that has survived and succeeded because of the way we handle every job. 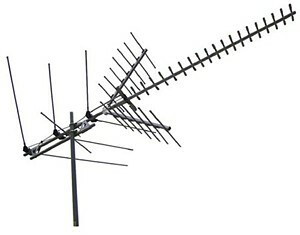 Contact Custom Antenna Systems today to have your questions answered. Antennas and mounts specially treated to resist environmental corrosion. All Winegard satellite products are protected by a 5-year limited warranty covering finish, total weather protection and damage caused from winds up to hurricane force for a period of five (5) years from date of purchase. Attractive mesh-constructed dish for greater wind-resistance and stability. COLOROTOR® The World's Largest Selling Antenna Rotator Strong and dependable - enough strength to break through heavy ice loads. Steel thrust bearings handle heavy loads smoothly, evenly, reducing friction and wear.